Bring It On is the ultimate in teenage high school movies. I mean, who didn&apos;t watch it? Kirsten Dunst was at her peak, and we had just survived that whole Y2K thing—there was a lot to cheer about. 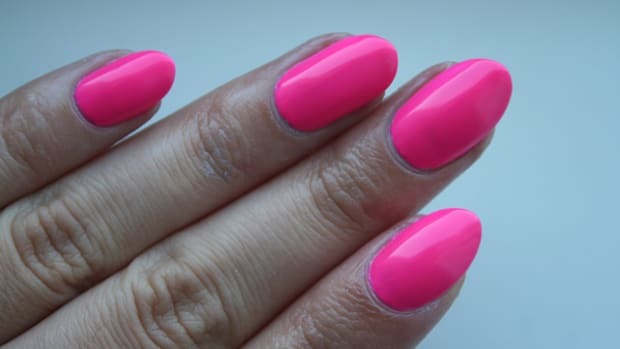 Now, for those of you who aren&apos;t familiar with Tryst, they&apos;re a Canadian indie nail polish brand and they make REALLY great polishes. Founder Kimberly M. has a magical eye for killer colour combos and glitter… so much glitter. And all the the polishes are handcrafted and blended right here in Canada. How awesome? Let&apos;s check out the swatches. Here I paired one coat of Boyfriend Material with a pale pink (Revlon Brilliant Strength Nail Enamel in Allure), and it&apos;s just glitter heaven. In the bottle, this polish leans towards a green shade, so I didn&apos;t know what to expect once it was on the nail, but it is B-E-A-U-T-I-F-U-L! It&apos;s packed with tiny green and gold glitters with flecks of silver throughout, which make it sparkly but in a subtle way. It can easily be worn all day, every day. Which is exactly how I think I might wear it. 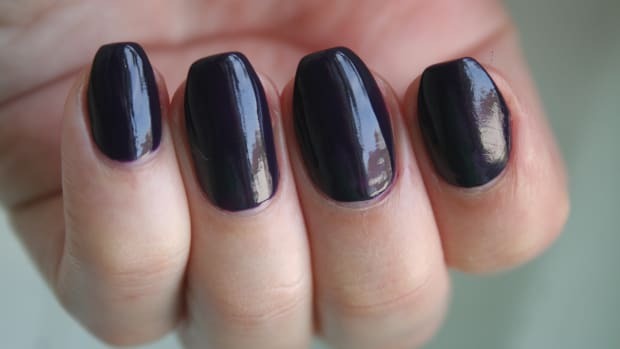 If this polish were a boy, he would definitely be boyfriend material. Big Red reminds me of Dorothy&apos;s slippers—it&apos;s a true ruby red with what looks like little ruby glitters suspended throughout. 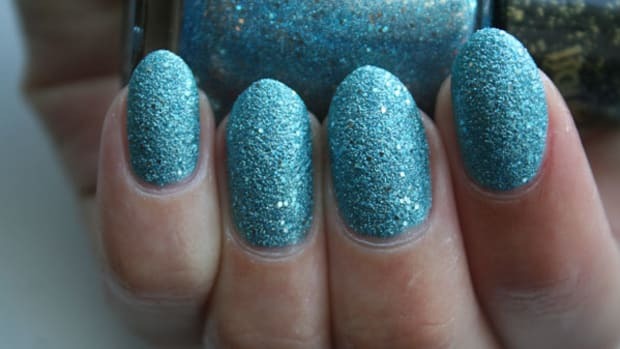 This one is a jelly (meaning it&apos;s not totally opaque), which I love because as you layer the polish, the glitter doesn&apos;t get lost—it just seems suspended between the layers, adding tons of depth to your mani. This was two easy coats, but be warned: the scent on this polish is beyond strong. I felt like I was in a nail salon sitting next to someone getting acrylics (don&apos;t ever get acrylics, girls!) and I really couldn&apos;t stand it. The good news is I was assured the scent was simply due to the polish being made and bottled right away—it should fade quickly. Here&apos;s hoping, because this colour is too good not to wear! Spanky Pants is a medium grey packed with lime, neon pink, black and white glitters. And it&apos;s all kinds of great. 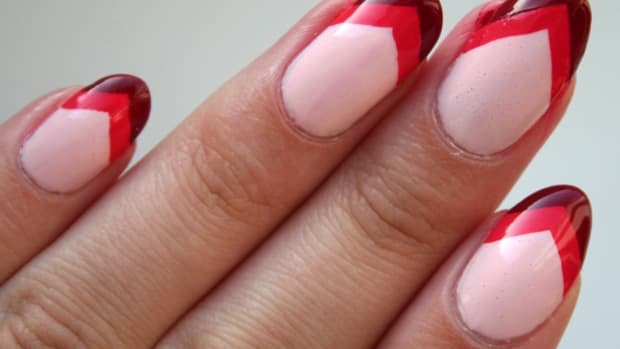 It took me three thin coats to get opaque, but you could definitely do with two if you have shorter nails and don&apos;t mind seeing your nail line peek through. I loved the colour combo on this one; anything neon paired with grey is sure to be a hit in my books. Spirit Fingers (you knew this name would be here!) reminds me of the good ol&apos; US of A: it&apos;s red, white and blue all over. 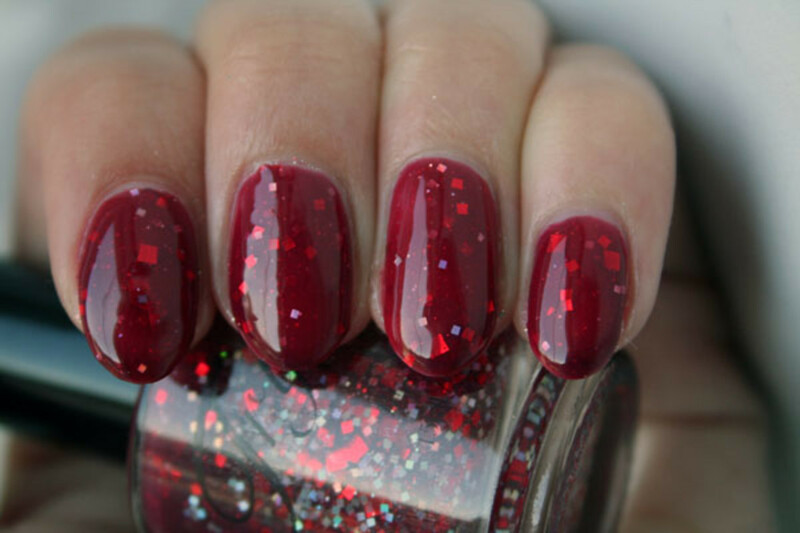 Three coats will give you full opacity, but the polish can get a little thick on the nail. 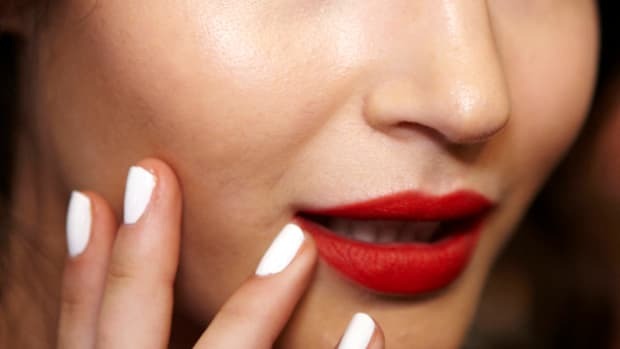 The milky white base isn&apos;t super-opaque, so this polish has tons of depth, too. Just look at all those glitters peeking through—S.W.O.O.N! B-E Aggressive is another milky white base, but this time with square black, blue and pink glitters plus a very fine sparkle running throughout. Though it&apos;s similar to Spirit Fingers, I definitely think each is unique in its own way. This applied really well (I did three coats plus top coat). Love! My favourite of all six was the namesake of the collection, Cheer-ocracy. 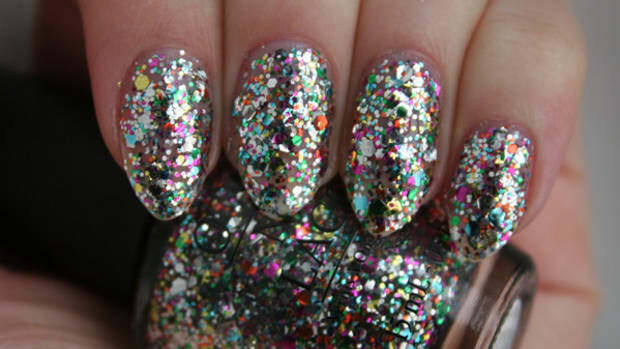 It&apos;s a glitter topcoat, so naturally, I was immediately sold. I decided to try it over a peachy base, Sally Hansen Complete Salon Manicure Nail Polish in Peach of Cake, and I couldn&apos;t get over how much I loved it. It just… makes me want to cheer! And it totally reminds me of the pom-poms cheerleaders flail around. This was just one coat and could definitely be built up with another for more glittery goodness. I am a fan. 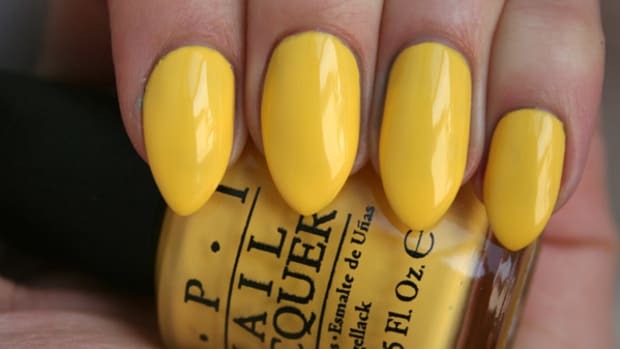 I&apos;m really loving indie nail brands at the moment—they just deliver something completely different. Plus, the part of me that secretly wished she cheered at an all-American high school, Bring It On-style, is overjoyed right now with this collection. You can purchase these and other Tryst Lacquers nail polishes for $9.00 each at trystlacquers.bigcartel.com. Are you as impressed as I am by this collection? 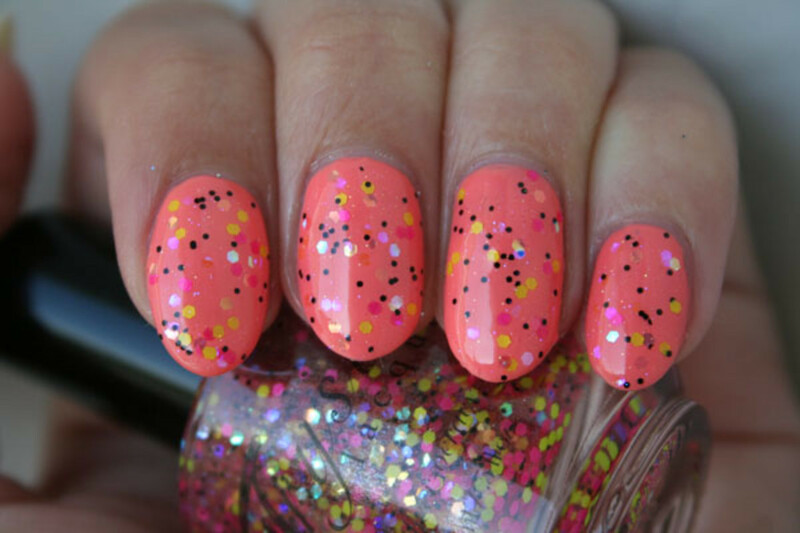 What do you think about the glittery top coat trend? Have you tried any other indie nail polish brands?